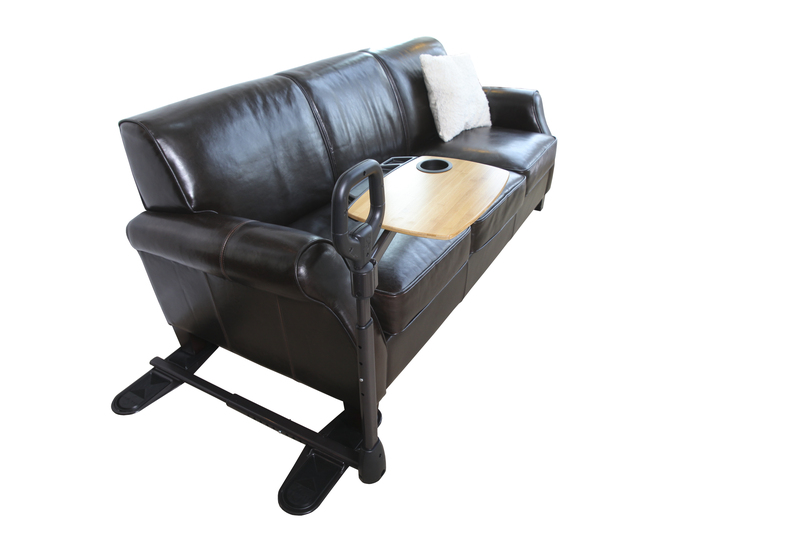 The Assist-A-Tray from Stander makes it easy to sit down or stand up from your favorite recliner or sofa with ease and comfort. 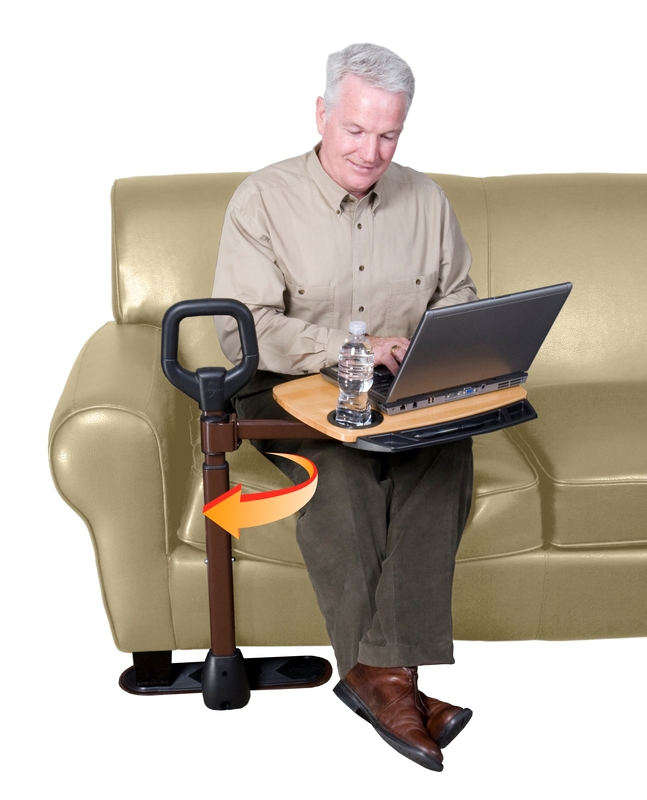 The Assist-A-Tray features a sturdy, ergonomically designed handle for safety and improved balance when getting in or out of a sitting position and a handy multi-use swivel laptop/TV tray with cup holder and utensil compartment. The tray is perfect for your laptop, crafts or dining. 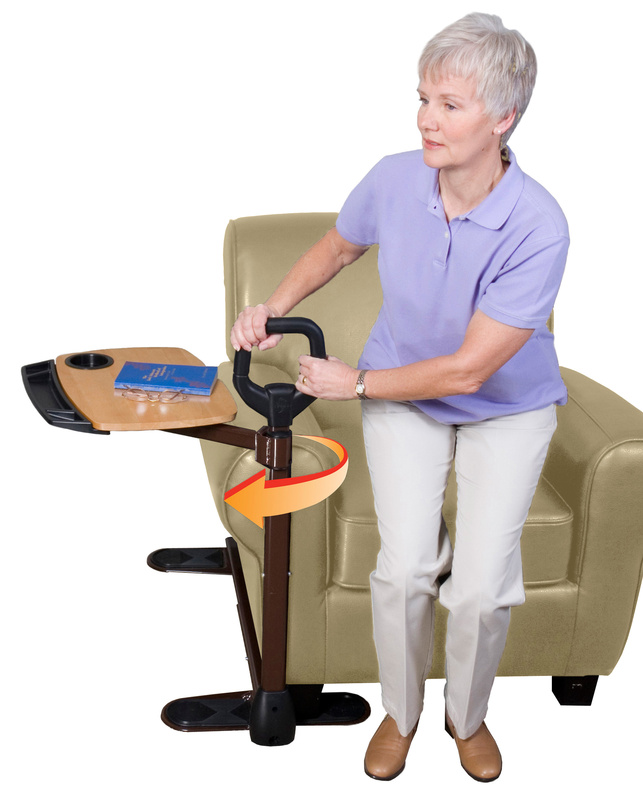 The Assist-A-Tray is a must have for anyone with impaired balance, back pain or recent surgery. 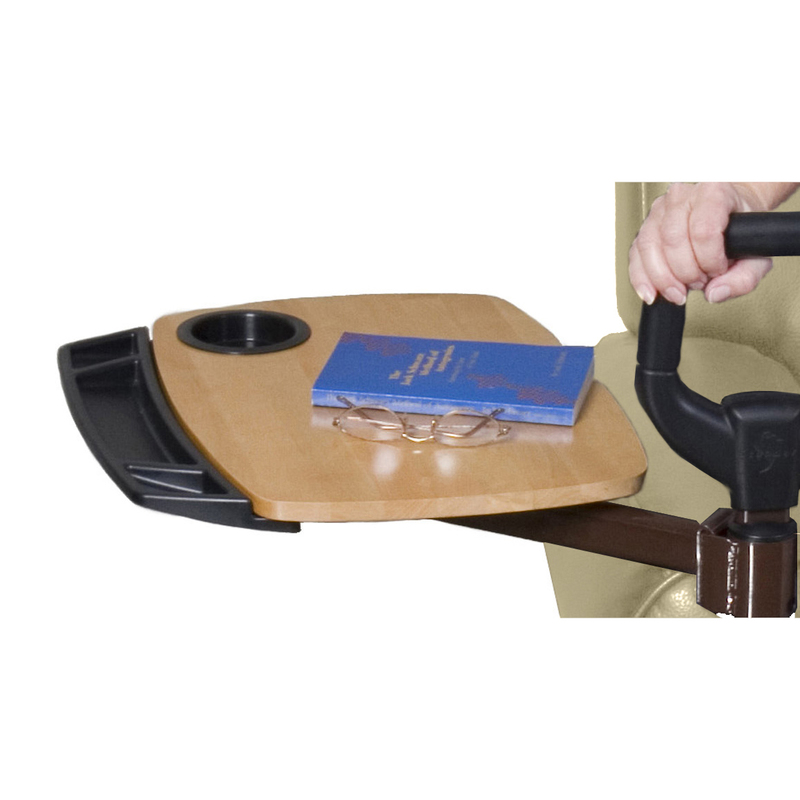 The tray adds a bit of luxury and utility not found in other assists and swivels 360 degrees, so it never hinders mobility. 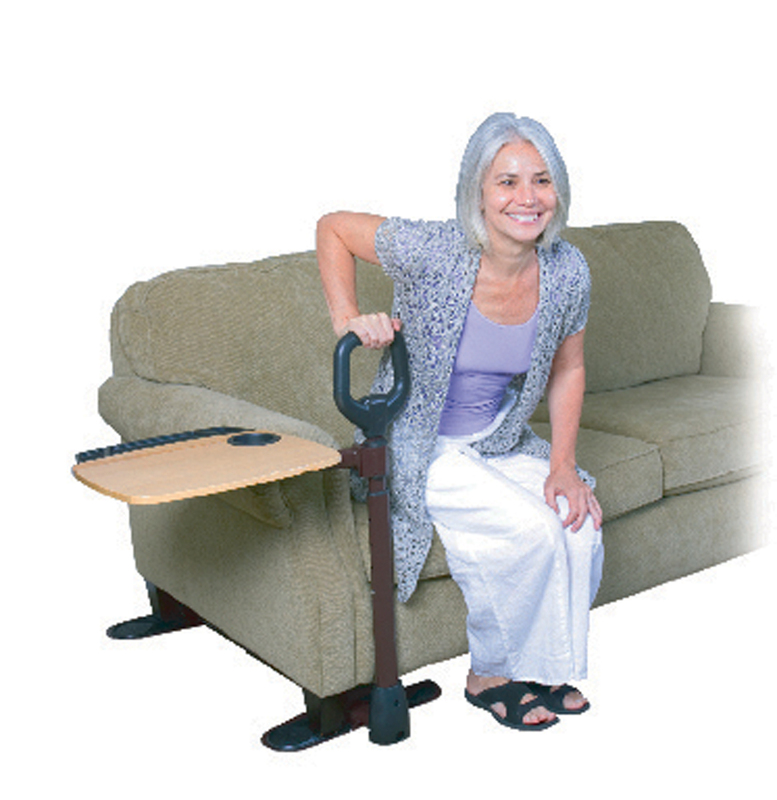 Fully adjustable in both height and length, the Assist-A-Tray can be used by people of varying heights in the same home. 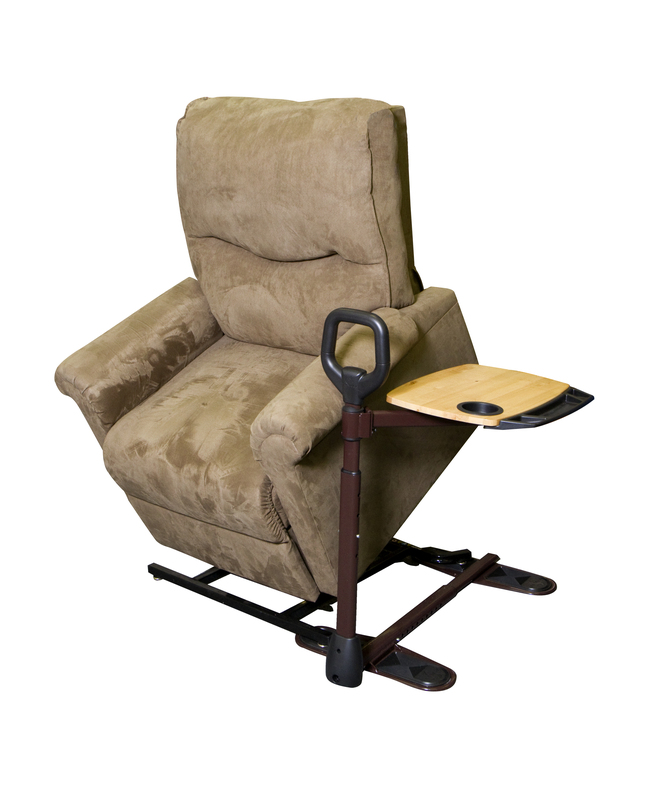 Best of all the Assist-A-Tray works with your favorite lift chair, recliner, sofa, or love seat.